Make your own Christmas decorations with Clics! Home / Blog / Clics also put the toys in the Christmas tree! Finally, it is time for the Christmas tree to spend some time in our houses again. And with that Christmas tree come the Christmas toys. Surely your favourite Clics are on your wish list? But being the creative that you are, you won’t even have to wait for your Christmas toys to start creating a Christmas atmosphere with Clics. This Christmas will be spent aside the most creative Christmas tree ever, with Clics decorations! Did Saint Nicholas fill your steamboat with presents? Now it is time to turn that steamer into the most gorgeous Christmas decorations. Only Clics’ educational toys will show you that a steamboat can hide a Christmas garland and baubles. Great, isn’t it? 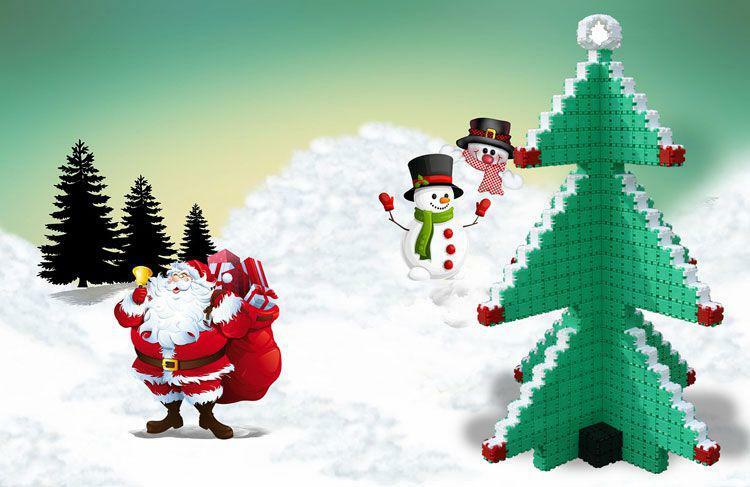 Do you want to decorate your entire Christmas tree with Clics? Of – even more spectacular – make a Christmas tree out of Clics as well? You’ll need quite some Clics for that, but with the Clics offer, you’ll buy them at a bargain price. Also, you can make it as big or as small as you want to. After all, this isn’t about building the biggest tree, but about having the most creative one! Have a quick look at the Clics toys online to get some inspiration for your Christmas toys. And don’t forget our Hall of Fame, because we are very impatient to show off your Christmas decorations to the world.